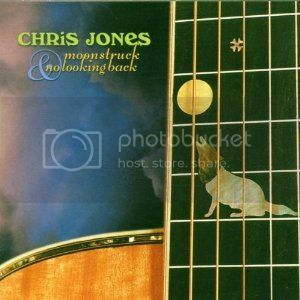 A couple years ago, I ran across Chris Jones and picked up a double album release of his. It was kind of hard to find and a bit pricey but it turned out I liked it quite a bit. It apparently didn't make it onto any of the CF discs, so here is a link to what is probably his signature song....The first cut off that album. That song is kind of ironic, after you hear...the "rest of the story". If it doesn't come across on your puhter, it's a very full kind of recording. As in a strong punch and great bass. He's quite a guitar player. Well, a couple days ago I was looking at something else and came across the Stockfisch website and stumbled into his name. Turns out he recorded for them for sometime...until he passed away back in 2005. Wow...I had no idea he was already gone. Kind of a shock when you've listened to him cranked up until you can hear every nuance of his voice so many times...singing "....long, long after you're gone". I've went ahead and ordered another album of his, and I'll comment later if my impression changes, but on the Moonstruck album it sound carefully compressed to add punch and loudness. But it's not with a heavy hand and it still works well. Stockfisch is pretty good and it's one of their releases, which explains it's relative hard to access status and kind of steep prices. Listening to some older music collection playlist of mine while in the shop this morning and among them was a cut that made it into the CF2015 disc. Thought I'd say something about it. Also on the CF15 disc, in the extended portion available on the DVD-A version, is a slightly different feeling song also featuring Chris with another great artist, Sara K. It's an acoustic set done on the road in Europe while on a tour sponsored by B&W speakers. She sings and stums guitar a little from one side of the stage and he sets on the left side and just jams along to whatever she is doing. He spent a lot of time doing just exactly that sort of thing, touring in Europe, playing all kinds of smaller places with all kinds of other artists. Playing at this moment from my playlist is another song from Chris called "The Last Fallen Leaf" also from the Roadhouses disc. Just Chris strumming the guitar solo. Just wow! 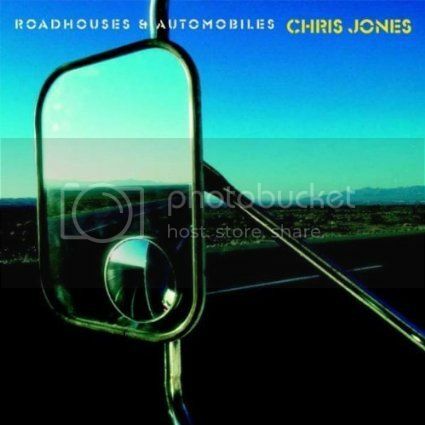 Roadhouses and Automobiles...a great album and meaningful song. I guess I was a bad boy this year as I didn't get my CF CD15 hookup. However, got a "bootleg" copy burned from another member. I had never heard of Chris Jones before. However, have been listening to numerous cuts on U tube. He was a very talented artist. A tragic loss. The title cut Roadhouses and Automobiles is one of favorite cuts of his. "Long after you're gone" and "Thank you" are two other favorites. Thanks for bringing this great artist to my attention Markie, via Eric! Glad you enjoy Don! Long After You're Gone was the song that originally was the reason I found Chris. ...and read the comments below. 80K it says were at this performance. It seems he was better known over seas than here. Several cuts off Roadhouses are very good listening. The first CD I pointed out above, Moonstruck, the Roadhouses and the Sara K, and then the bluesy ones, like in this video are in many ways fairly different musical styles. But I enjoy his performances in all them!